A knifeman wearing a fake suicide belt wounded at least eight people in a frenzied attack in a Russia this morning. 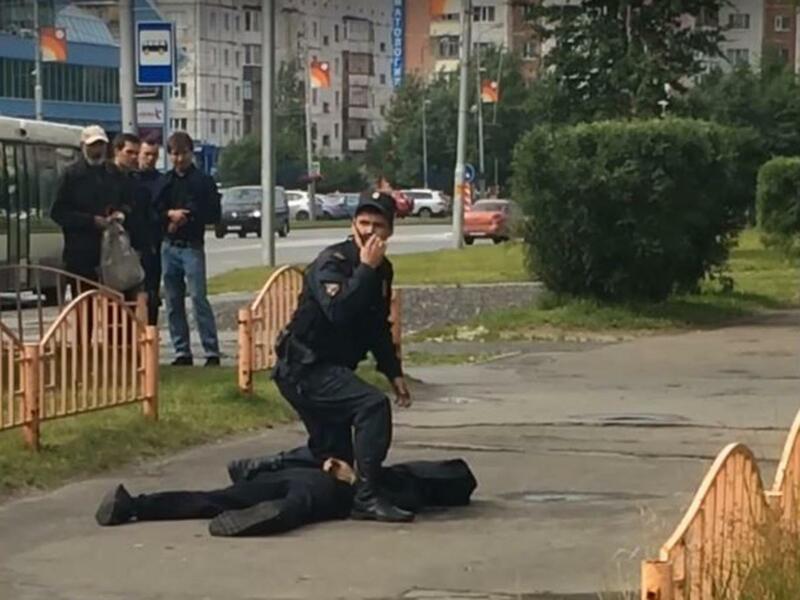 The Siberian knifeman, named locally as 23-year-old Bobichel Abdurakhmanov, was shot dead by police in a busy main street in Surgut, central Russia, at about 11.20am. Shocking CCTV shows people fleeing for their lives as the attacker rampaged past shops in the city. Footage shows him running past a pavilion and throwing something away before he was shot dead.